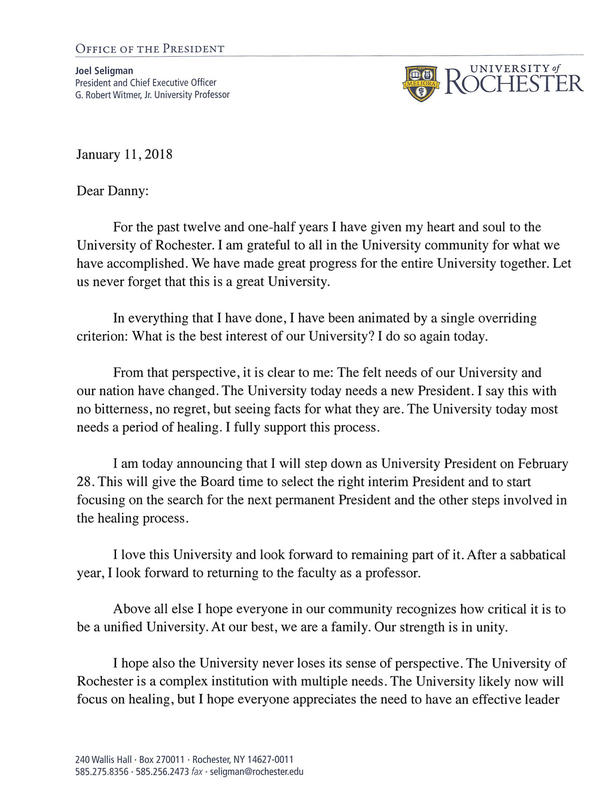 Today, before I or any member of the Board of Trustees received the Mary Jo White report or learned its contents, I informed the Board of my intention to resign as President and CEO of the University of Rochester, effective February 28, 2018. 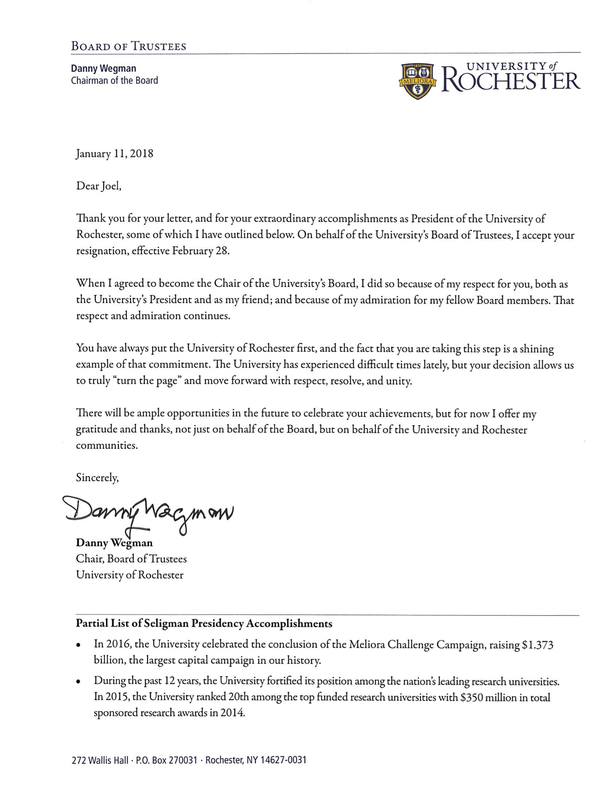 Danny Wegman, the Chair of the Board of Trustees, and I exchanged letters confirming this. The texts of those letters can be read below. 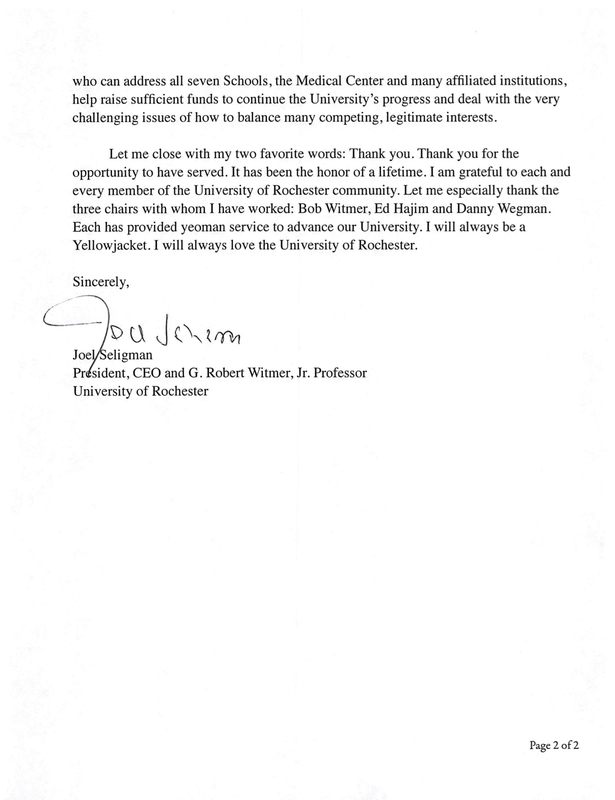 It has been the greatest honor of my life to have served the University of Rochester for the last twelve and a half years. I am grateful to everyone who has served with me and am proud of the progress we have made together. I have worked tirelessly on the University’s behalf, motivated by a single overriding criterion: What is in the best interest of the University of Rochester? 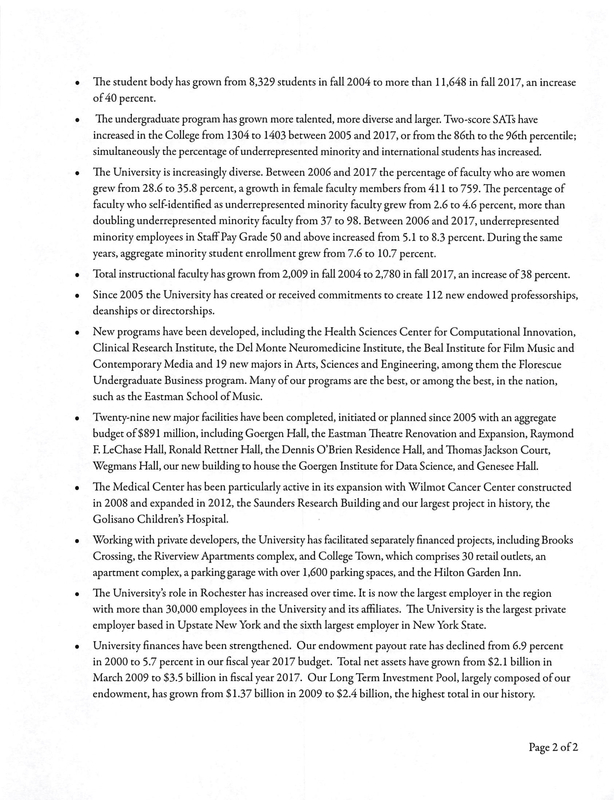 It is clear to me that the best interests of the University are best served with new leadership, and a fresh perspective to focus on healing our campus and moving us forward in a spirit of cooperation and unity. I will look forward to working with the interim President when that person is named, and with a permanent President, once that person is identified after a search process.